Kat Blais, co-founder of Global Sanctuary for Elephants has shared the following excellent commentary on the Swaziland to USA elephant debacle–worth reading every word. How we treat those around us is a substantial part of defining our moral fiber as individuals and as a society. Today, we are living in a world of increased awareness of the depth of animal complexity: intellectually, socially, emotionally and their role in the balance of the natural world. We now know, without any doubt or hesitation that animals are so much more than we gave them credit for just two decades ago. Less and less we are seeing them as things, objects and commodities. But this week punctuated that zoos are not in this same boat as the rest of our evolving society; they continue to be willing to sacrifice family bonds and social structure as they compromise the health and well-being of individuals. 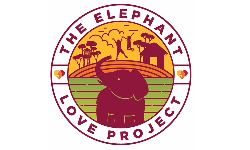 With all that we know, based on years of science, three zoos have all but destroyed the lives of the 18 elephants (15 of them under the age of 12) that were captured in order to replenish their diminishing ‘stock.’ This includes the one elephant who has already lost her life due to poor management and the lives of the families they left behind. Zoos have done an incredible job at self-promoting themselves as top animal experts, scientist and conservationist, but the data and the truth show otherwise. When you look at the decades of information collected and knowledge gained by field biologist, it’s quite clear that everything we do to elephants in captivity is detrimental to their health. It is what has caused the need to bring in wild elephants to replenish a dying population. Zoos are consciously masking the truth and scientific data, as they implore deceptive, diversionary tactics, and a fair number of straight out lies. They throw out huge numbers; “our $15 million state of the art exhibit,” it’s an impressive number but does little to bring peace or happiness and certainly not good health to the elephants who have been enslaved. They claim that this direct action is all about conservation, but once again the data does not support this. And if they spent even half of the expansion funds on true conservation projects, their net positive impact would be substantial compared their current menial financial investment to conservation. This deal, this entire operation was designed for one purpose- to restock zoos with elephants so they can continue to make money as an attraction to the public. Zoos will claim that these elephants are pivotal to educating our children, “These elephants will build an appreciation for elephants that encourage their protection for decades to come.” But zoos have been in existence for centuries and elephants are still being slaughtered and enslaved into captivity at an alarming rate. As I recently read in an article that so poignantly puts this in perspective, kids love and know everything there is to know about dinosaurs and they have never seen one and never will. If you ask the kids or even adults about elephants they know little about who they really are. At the last zoo I worked at, the primary two questions we were asked were “Can we ride her and does she do tricks?” When this same elephant, at the zoo was allowed out of the exhibit to graze on the grass in a picnic area the number one comment was, “I didn’t know elephants ate grass.” This is the education the public is receiving. I have spent the majority of my life, more than 23 years, helping captive elephants recover from the traumas of captivity. Even those from “good” zoos are a fraction of their true selves when they arrive to sanctuaries. With every individual that I’ve had the great honor and blessing to work with, we’ve observed the truth depth of the negative impact of captivity and it’s far more extensive than most people comprehend, even those of us that have seen the worst of the treatment they endure. And through sanctuary we have also seen the profound recovery and rediscovery of what it means to be an elephant and who they are as a pivotal individual. When I hear the level of deception from zoos that has allowed these Swaziland elephants, precious and sacred individuals to be sacrificed, all I can do is feel remorse for the willful ignorance of our society. If you were to tell Sundari Sitaram three years ago that she’d be spending her 51st birthday on her way to live in a bungalow in rural Thailand, she’d have never believed you. “I thought living out of your backpack was something you did in your 20s, so it’s pretty funny to be 51 and living in the jungle,” she said. In October, the former Camas woman sold everything she owned to buy a one-way ticket to a place more than 7,000 miles away from her comfortable life. And though moving across the world was a tough decision, it came down to one thing for Sitaram: the best way to create real change when it comes to the treatment of elephants in Southeast Asia was to be there.